Not your typical box bed. 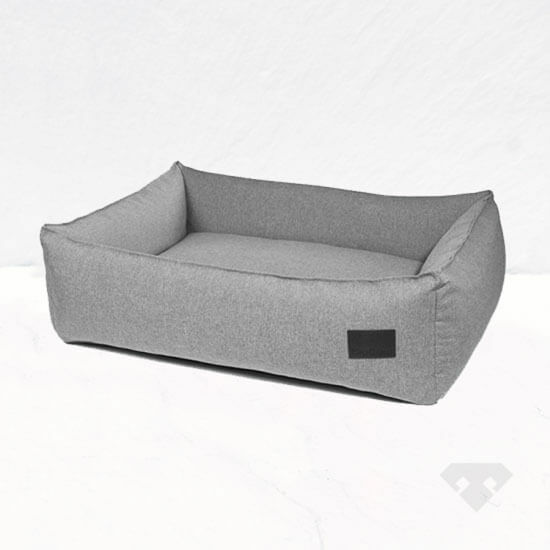 Made from Italian Nube fabric, the side panels are soft, yet sturdy enough to lay against & rest the head on. For maximum comfort, the mattress is filled with viscoelastic foam. This material adapts perfectly to the body shape of the dog & provides optimum support for the spine &relieves the joints. Visco foam is permanently elastic & offers a unique pressure relief for exceptional lying comfort. Products inspired by international fashion & interior design trends therefore always up to date, but never short term fashionably. Handcrafted using the highest quality materials. A brand for the dog lover with design & quality in mind. 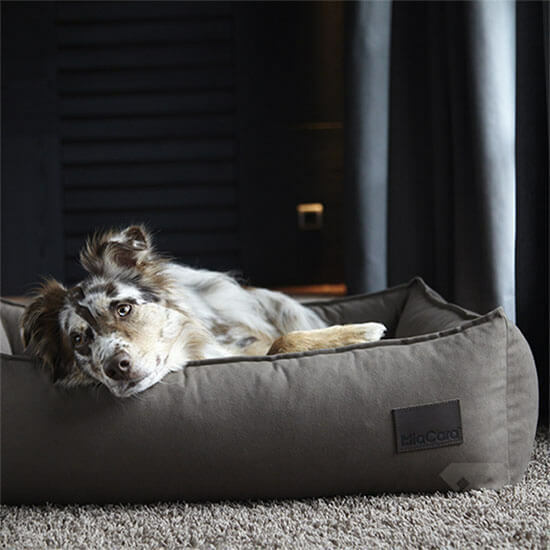 To create timeless, modern design products that can be enjoyed by dogs and their owners for a long time. Every dog ​​is special and has its own character. MiaCara products are anything else but off the rack. On the contrary they are exceptional and – just for dogs with character! The dog is not a fashion accessory, but the best friend of man. It belongs to the family. 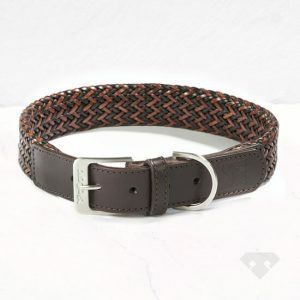 All products “around the dog” should first and foremost fit the dog, but should also complement the style of its owner. Therefore, their products not only meet the highest standards of functionality and quality, but because of their simple design fit perfectly with your personal interior design style. 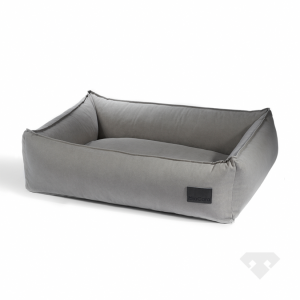 Box-Bed with cover made of soft yet robust Italian Nube fabric. The cover has an inner zipper and can be easily removed. For maximum hygiene the cover and all foam parts are machine washable. High quality filling Oeko-Tex® Standard 100 certified foam made of German manufacture. Mattress is filled with viscoelastic foam providing optimum support for the spine and relieves the joints. 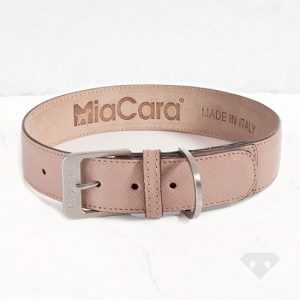 Please note this item is not held in stock and is ordered in specially therefore we can not accept returns on any Mia Cara items. This should not affect delivery times. Please double check sizing before you order.